SEGA launched a new title to Google Play this morning, Sonic and SEGA All-Stars Racing. It’s your classic kart racing title, full of all of your favorite Sonic characters. So far, it really reminds me of Crash Nitro Kart and of course, Mario Kart. There are 16 different tracks to race on, with unique challenges on each to help score you more coins. 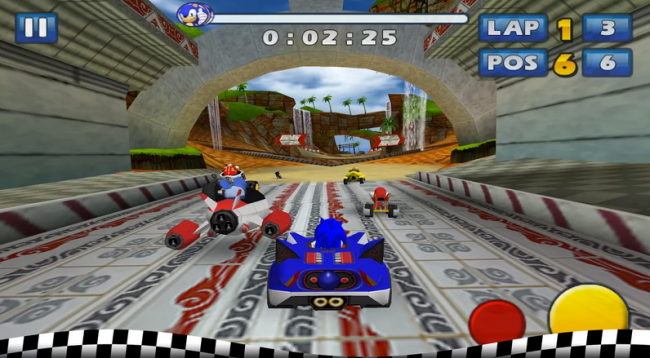 The game features a complete four player online multiplayer mode, as well as a four player WiFi multiplayer mode, since you know, racing computers just isn’t as competitive. The game costs $1.99 on Google Play, so go check it out.